A traditionally-prepared fish, dried by the sun and the gentle Mediterranean breeze, peix sec is one of the most sought-after delicacies of the smaller Pityusic island. 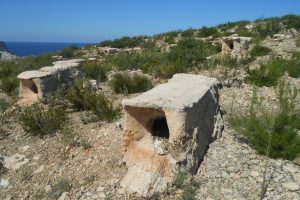 In Formentera, there exists an ancient culinary tradition which has survived to the present day among its native inhabitants—and which forms part of the island’s culture. This is peix sec (dried fish), a product whose popularity soared at the start of the island’s tourist boom when its inhabitants began sharing this culinary delight with visitors. 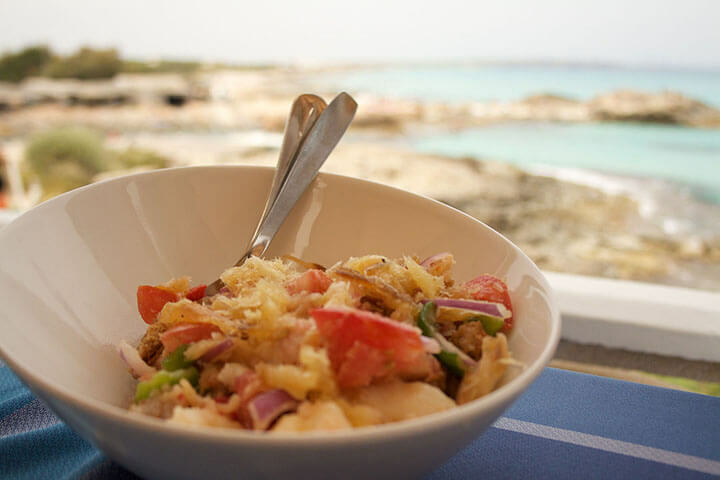 Nowadays, visitors to Formentera make straight for the restaurants in search of the renowned ensalada payesa (country salad), one of Formentera’s most typical dishes whose main ingredient is peix sec. 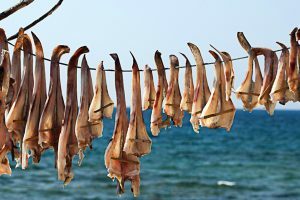 Peix sec comes from cartilaginous fish (such as the ray, the school shark and the dogfish), caught in the traditional way by the llauts, or typical Balearic Island fishing boats, close to the coast and then kept for a time in a brining tank, exposed to the sun and the Mediterranean breeze. After being caught, the fish is cut and filleted by the fishermen themselves while still at sea. It is then covered with coarse salt for a few hours. 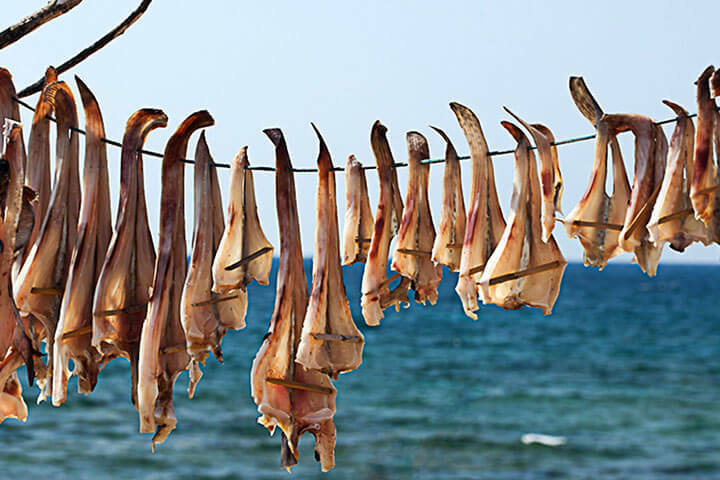 Next, in keeping with tradition, the fish is hung from the branches of juniper trees and allowed to dry in the warmth of Formentera’s sunshine, helped by the gentle sea breeze. 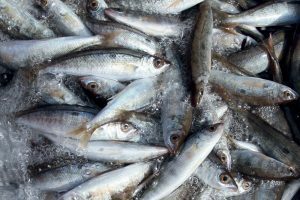 Once the fish is dry, it is baked and crumbled, and then stored in glass jars with olive oil; it can now be kept like this for several months. 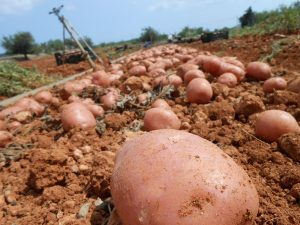 Peix sec is used in the preparation of some of the most typical dishes in the cuisine of Formentera, including the ensalada payesa already mentioned. Currently, fish prepared in this way is extremely popular with the most avant-garde chefs, who use peix sec in a wide variety of recipes, including canapés, croquettes and pizzas. Many, however, insist that this particular delicacy is best enjoyed on a slice of simple, toasted country bread… The possibilities offered by peix sec are as vast as the creative powers of the chef concerned. These days, this irresistible delicacy with its distinctive essence of the sea can be found all year round in the restaurants and bars on the island of Formentera, as well as in small establishments, gourmet shops and supermarkets.